The rise of digital and online media is making it hard for offline media to compete. Ease of access and relatively low cost make online media favored by many people today. 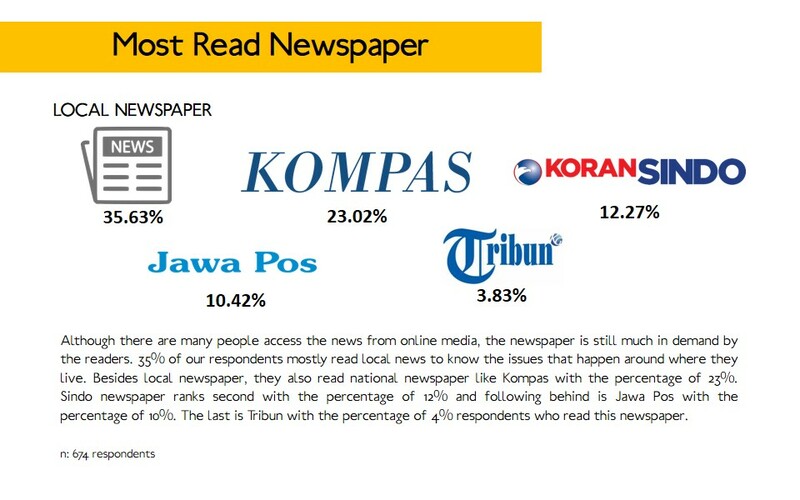 But for a developing country like Indonesia where internet penetration is still unevenly, offline media might be a solution to reach a wide range of audiences across the country. Offline media may be the only way for them to gain access to the latest information. 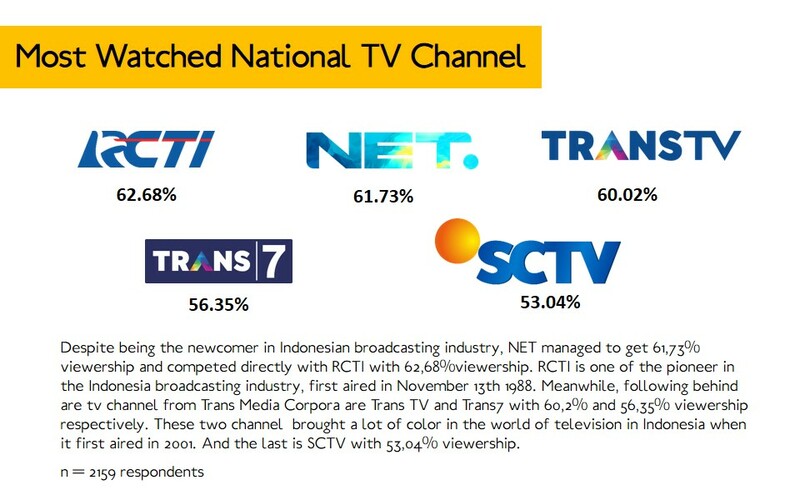 We conduct a survey toward 1.767 respondents in nationwide to understand their habit in accessing offline media. 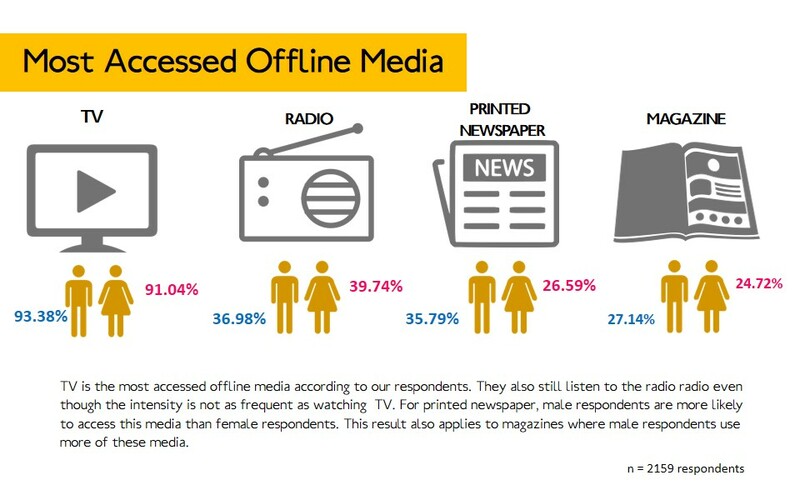 We try to get insight from a gender perspective and their preference toward accessed offline media. This entry was posted in Lifestyle on April 9, 2018 by Fauziah Khoiriyani.